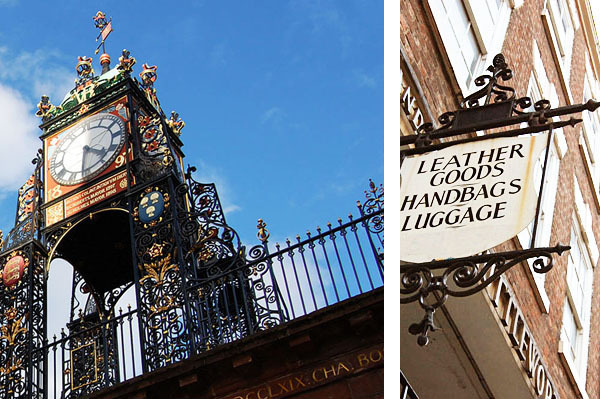 I recently visited Chester, therefore inadvertently completing my stops on the 5 most haunted places in the UK. Actually, I only have Belfast and Gloucester to do before I get to ten. What can I say, ghosts follow me. 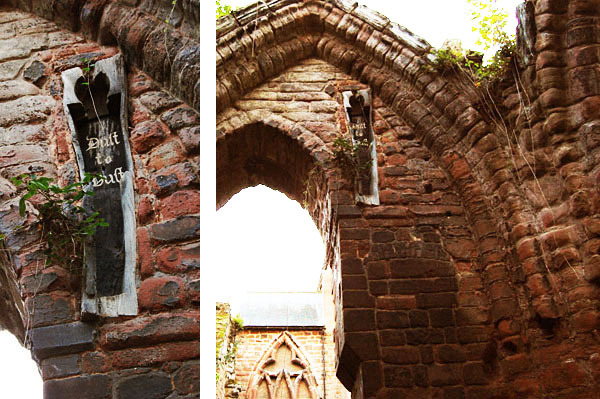 Anyway, I figured it was fitting for Halloween to post my photos of Chester - it's a Roman town, and is all old churches and pretty buildings. Oooh, and loads of shops. We heard a story about a nun who was so devout that she wanted to be buried as close to heaven as possible. No, not on the moon, but near the top of her church, embedded in the wall. Although apparently the coffin was disturbed a few years ago, and now her spirit wanders the church grounds. Woooo. We didn't see her. I love cobwebs. The other day there was an awesome big cobweb outside the house next to mine with a creepy little spider right in the middle, and it had been raining so the cobweb was all covered in droplets and looked pretty. So I got my camera and tried to take a photo, but it just looked like I was trying to take a photo through their door, and we're not very close with our neighbours, so needless to say, I didn't get the shot. Also, in Chester, the squirrels are really, really tame. I moved from Chester last year, these pictures made me so homesick! What were you doing in Chester? Aw, I'm sorry Hayles! It's so pretty though. Mike, I was just having a bit of a wander - me and a couple of friends randomly choose nice places in the UK to visit and then we, um, visit. It was nice!